You are currently browsing the tag archive for the ‘Station Gallery’ tag. It’s that time again… As things heat up, we request your say on the theme of the annual members’ show for when things will cool down later this year. Between December 3, 2016 to January 29, 2017, Station Gallery will host its 24th annual juried exhibition. The choice is yours. 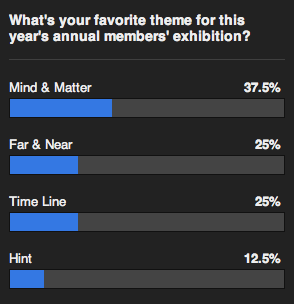 Which title and theme do you think best suits this year’s show? Stay tuned for the results on June 30. Last week was a tough one. The news of two people passing came unexpectedly. 26 x 20 in., 66 x 50.8 cm. It’s that time again… As things heat up, we request your say on the theme of the annual members’ show theme for when things will cool down later this year. Between November 28, 2015 to January 10, 2016, Station Gallery will host its 23rd annual juried exhibition. The choice is yours. Which title and theme do you think best suits this year’s show? Stay tuned for the results on June 26. “We Go Next!” proclaims one of the strident posters. Nothing could be truer for this batch of framed propaganda posters. 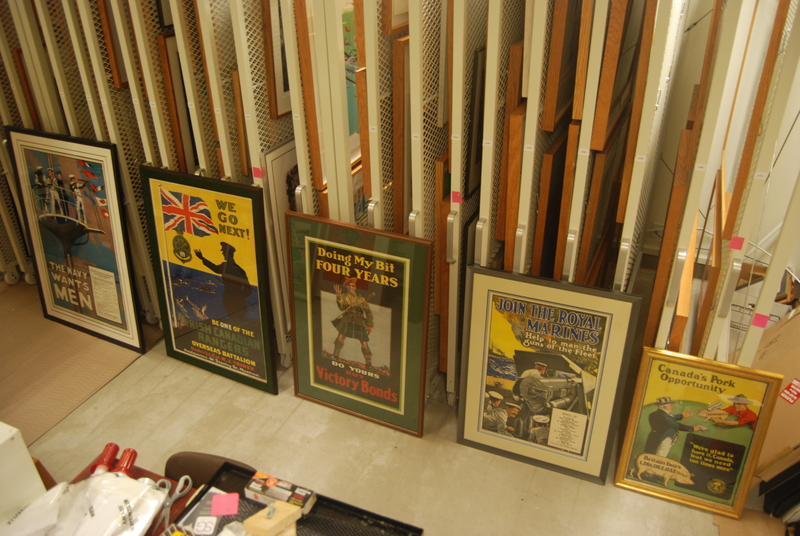 Next in the yourSpace gallery will be vintage World War One posters. We’ll start hanging on Monday. Station Gallery will mark the centennial of the Great War outbreak this year by featuring selected broadsheet posters from the Wildman Collection based here in Whitby. In addition to these eye-catching graphics, we’ll display wartime memorabilia, ephemera and militaria from the WWI era. 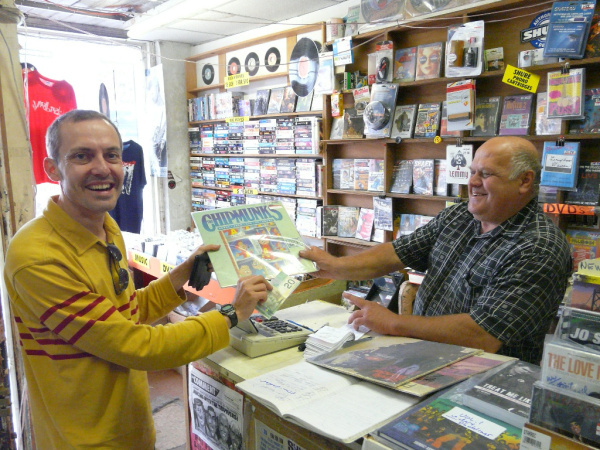 Craig Wildman will give special insight into his collection and the posters on November 20 at 7PM. The show runs until November 23. Not to be missed! 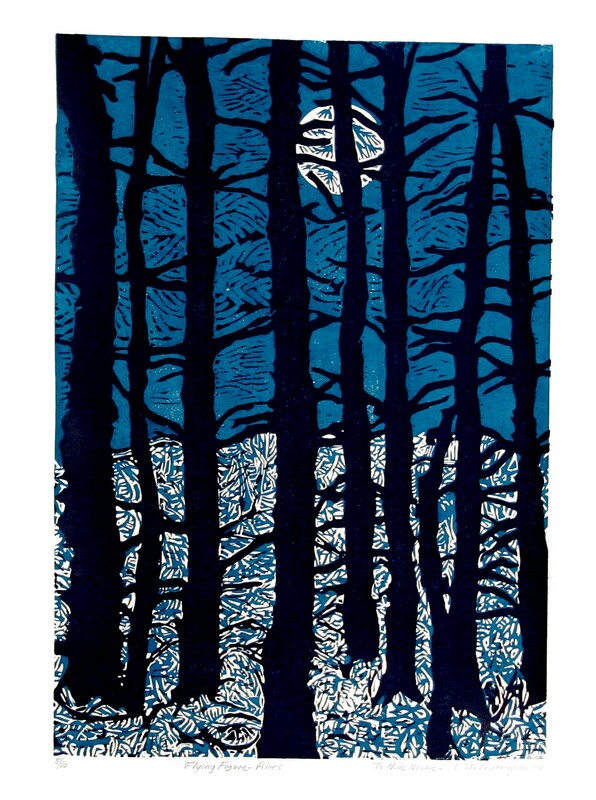 This juried exhibition will run at Station Gallery from November 29, 2014 to January 11, 2015. It’s a fine theme that’s open-ended and versatile. Artists will be invited to present works that sample everyday life and slice-of-life narratives. Words such as naturalism and realism also come to mind. Thanks to everyone for voting. Stay tuned to Station Gallery’s website for submission guidelines and details for the year-end Slice of Life exhibition…. Toni Latour’s solo exhibition “The Femme Project” opened yesterday at Station Gallery. Show continues until July 6. The Wiki Show finished its very successful run last Sunday. 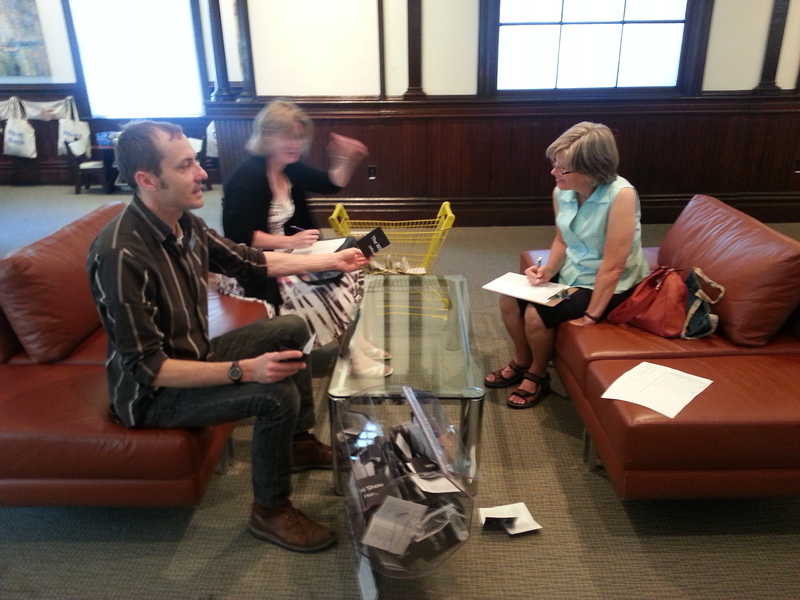 Visitors were thrilled to cast a ballot for the artist who they would like to see back at the gallery with a solo show. There were 20 artists in the Wiki mix—all of whom put there “best foot forward” with very strong examples from their studio. Earlier in the week, I was joined by a volunteer and our auditor to tally the ballots. Over 600 visitors cast a ballot for the artist they’d like to see more of in 2014. I’m proud to unofficially announce that the Wiki winner is… Jennifer Dorner! We’ll officially announce the recipient of the 2014 solo show at tomorrow’s opening at Station Gallery.